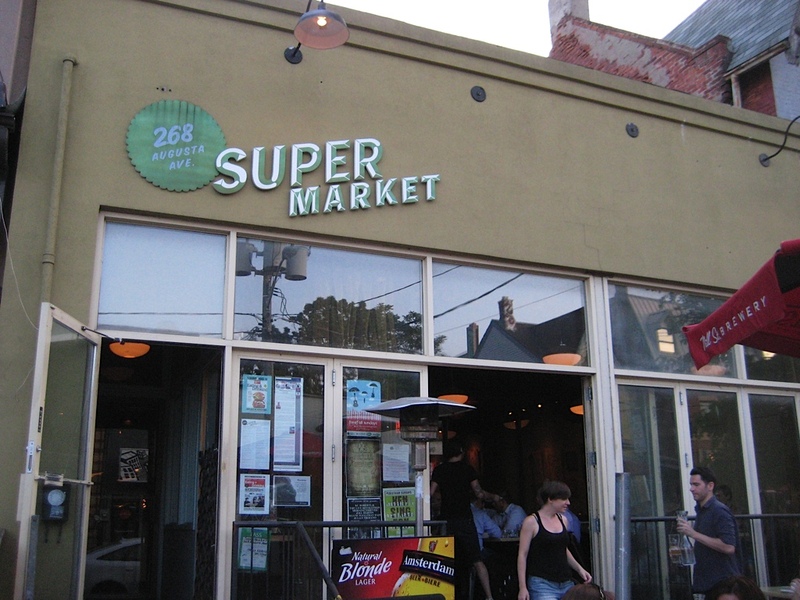 I’ll start by confessing right off the bat that my amazing husband, Rob, is one of the owners of Supermarket restaurant in Kensington Market. How lucky can a girl be? Not only does it boast some of the most flavourful Asian fusion food in town – including to-die-for fish tacos – it also has a gluten-free menu! paying them to say it). And although Supermarket is not a gluten-free restaurant, Lily has never once had any issues with cross contamination there. Hold the Japanese chili spice if you’re ordering for little ones! 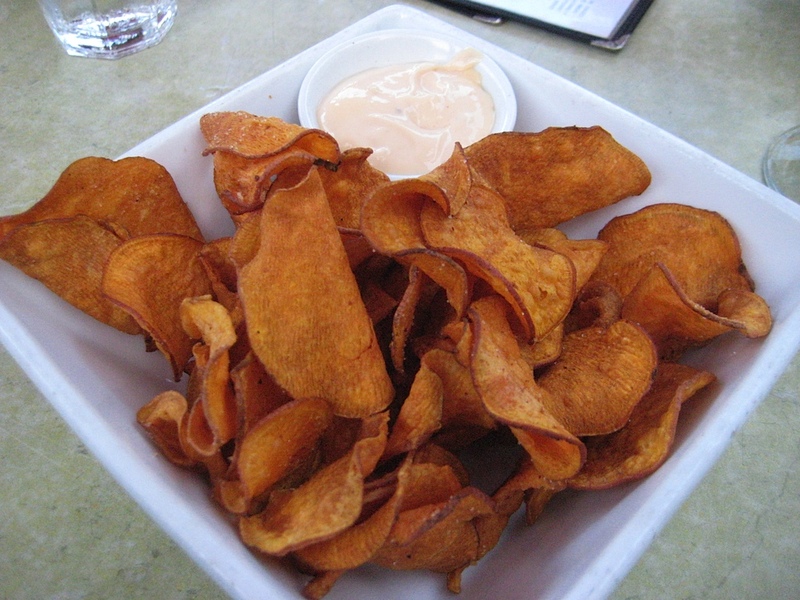 Warning: These sweet potato chips are highly addictive! Posted in Happiness is..., Restaurants we ❤, Tummy love. 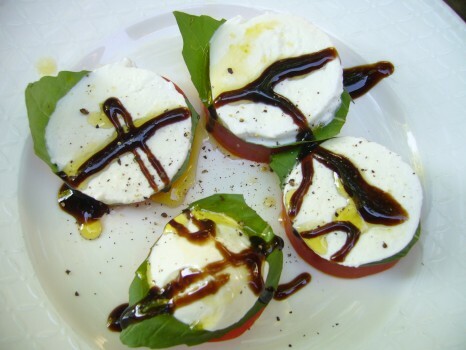 File under: More yummy things to do with basil. 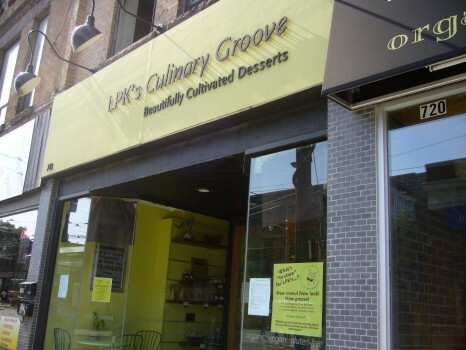 dessert got its Groove back! Posted in GFG exhibitor!, Happiness is..., Restaurants we ❤, Tummy love. 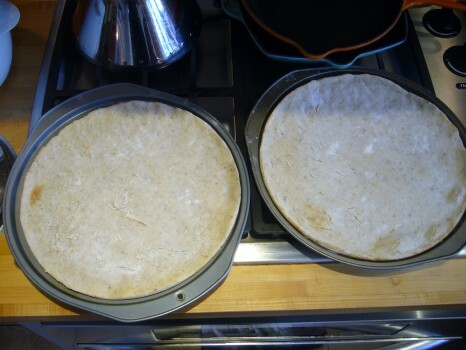 This is the story of how I learned to make gluten-free pizza crust. Last fall I had the good fortune to meet gluten-free consultant JoAnne Bennett Mirsky and culinary nutritionist Marni Wasserman at a gluten-free cooking class that they taught together. I diced, I sliced and then I ate like a queen. 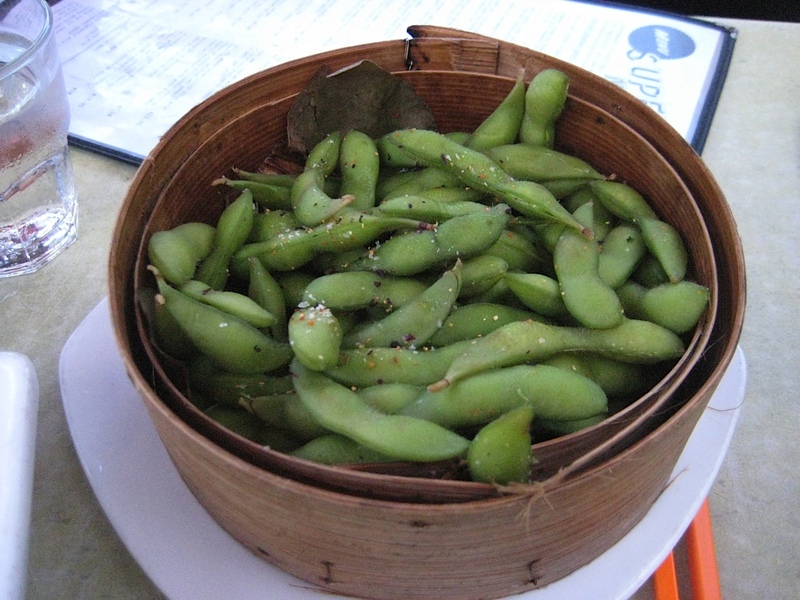 Every bite I took was healthy, nutritious and absolutely delicious. It was so good that a couple of months later I brought Rob to Marni’s Amazing Asian cooking class. It lived up to its name. If you haven’t taken one of Marni’s Fully Nourished cooking classes, I highly recommend it. 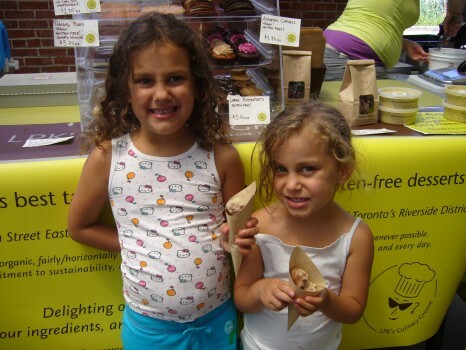 All of her classes are vegetarian and wheat free, and most are gluten and dairy free. Marni is a wealth of knowledge and clearly loves what she does. Right off the top, she makes her students feel like guests. Some of the recipes I keep coming back to are from her classes and website. I hope to share one of them with you soon! Marni collaborated with JoAnne Bennett Mirsky on the Gourmet and Gluten Free class. JoAnne and I hit it off right away. She didn’t mind answering my host of gluten-related questions and she had a lot of great tips up her sleeve that she was excited to share. I decided then and there that I wanted to spend more time cooking with her and picking her brain about all things GF. 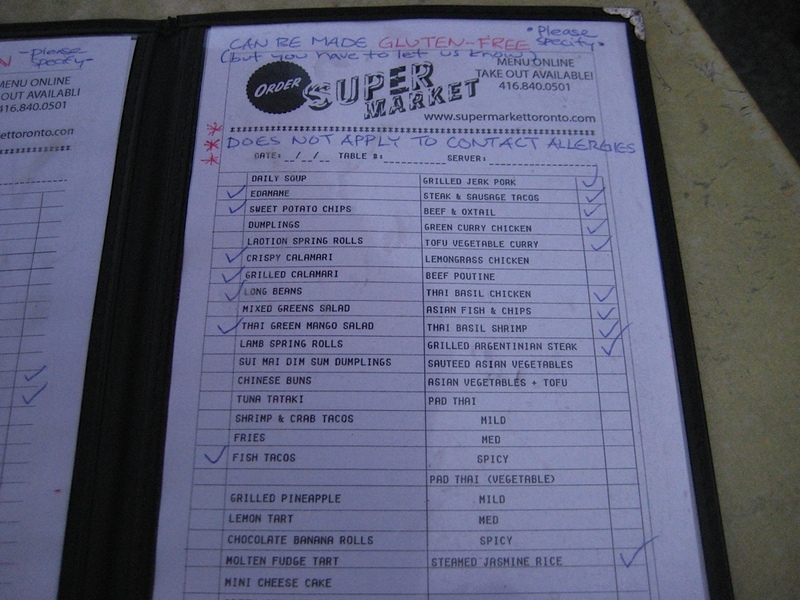 After we figured out the menu for our afternoon in the kitchen, JoAnne sent me a grocery list and offered to pick up any gluten-free products I couldn’t find. And then we got cooking. From pizza crust and lasagna to fried rice and maple-glazed salmon to chocolate pudding…we made it all happen in my tiny kitchen. My family was well fed for the entire week! And I learned so much from JoAnne—about how to better organize my kitchen, where to find certain products, and why making my own gluten-free pizza crust is worth the time and effort. 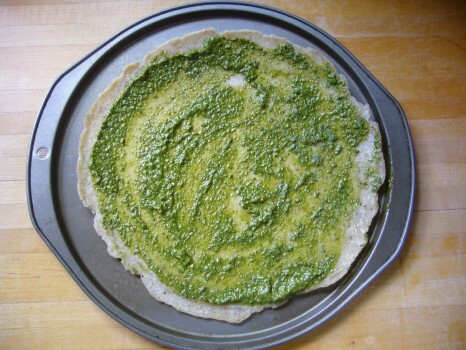 Spread out pesto evenly on gluten-free pizza crust. Click here for the homemade pesto recipe. 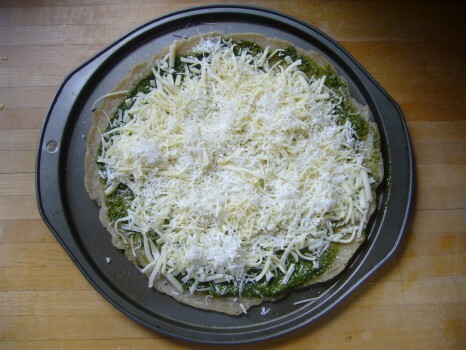 Sprinkle lots of shredded mozzarella and Parmesan cheese on top of pesto (if you’re using packaged shredded cheese, make sure it hasn’t been dusted with flour). Add your favourite toppings. 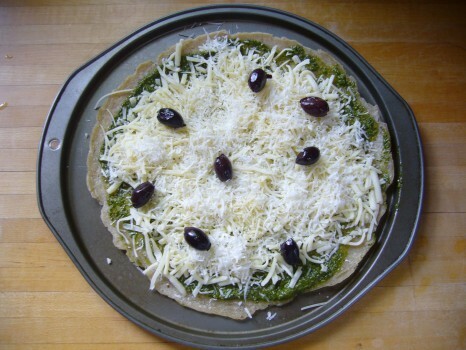 We’re all about the olives. Bake at 350°F for about 20 minutes. When done, decorate with some fresh basil leaves. 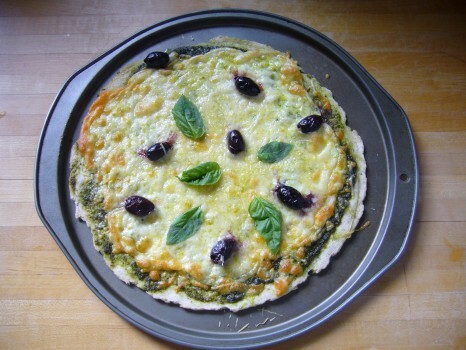 If you have time to make your own pizza crust, it’s well worth the effort! Stay tuned for a recipe that’s easy as pie from Toronto-based gluten-free consultant JoAnne Bennett Mirsky.